Selim is in charge of transfer dealings - I don't think Cioffi has much say in it, unfortunately. He has said he wants to bring in some more players, but that will be down to the owner/directors, and dependent on how much money we actually have to spend on transfers/wages. One way of confusing figures of money available and used etc could be Selim gets the wallet out and calling the purse strings Gabby is as in dark somewhat like supporters. I know you meant this kindly John but it does come across as somewhat mocking. I make no excuses for supporting the team and that means the players, the manager and the club. Whether Cioffi is the right person for the club or not is not for me to decide - I had no say in appointing Cioffi, I will have no say on the terms or timing of his leaving. All that is open to me is to support the team in the most appropriate way that I can. 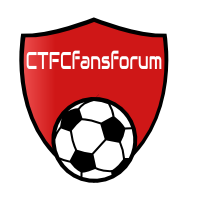 This means, for me anyway, attending as many matches as I can and demonstrating my support in this forum. I was not at the last match so I cannot comment on how we played on Saturday, although I understand that it was not great but I have been to a number of games this season when we have played outstandingly well and they have played in a manner that suggests that we should be much higher up the table than we are. I do think we have been unlucky in many games this season - especially away from home. We have dominated a number of games and lost, where we would normally expect to take something and that is disappointing but if we are to lose games I would rather we were dominating them than not. So while others plot Cioffi's downfall, I shall go on supporting the team in the best way I can - surely when we are going through bad times it is the very time they need our support the most. 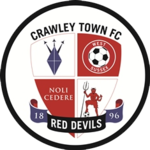 Cioffi said in his aftermatch interview that he has told the board the players he wants.Kewells name and standing in the game at the time must have had some influence on signing the players he wanted, Cioffi unfortunately does not have that kudos. So, just playing devil's advocate here (and really only provoking discussion, I don't have a particular axe to grind), but it's interesting how we as supporters automatically associate a signing perceived to be "poor" (either immediately or over time) as one brought in by Selim, yet a "quality" signing (I'm thinking Palmer, Gambin etc here for reference) is automatically assumed to have been brought in solely by the manager. If we make the statement collectively that "Selim is in charge of transfer dealings" then surely we have to give him the credit for assembling an improved squad of players. We can't then selectively discount the players we rate as being somebody else's signing simply because it doesn't serve the narrative. The truth is that we don't know for sure how much say the manager has on signings. He may have a lot, he may have none. But the reality is probably somewhere in the middle. I would expect Cioffi to give his requirements to Selim, either by name or player profile and Selim's job is to try and source that request within the confines of reality and financial prudence. Just because Cioffi wants a particular player doesn't mean by default that we'll get him. It may also not be within the realms of practical of financial possibility to close such a deal. The other part to this is that Selim (as Director of Football) has a responsibility in addition to the current needs and desires of the manager to build an appropriate playing infrastructure beyond the short term. In my view, signings like German are exactly that. Cioffi may not have asked for him, he may not even want him this season, but we'd be the first supporters complaining if we'd missed out on a good young talent. Someone like him could prove to be a valuable transfer target in a couple of years that helps the club become more financially stable. With the gates that we have, if we aren't picking up and developing young talent that we can sell on for a profit, then we have no hope of balancing the books without significant financial benevolence. And I do believe we've been there before! I am hearing Cioffi has a very small window of opportunity to show he can turn it around. And with three, tough games to come, the window of opportunity is diminishing to a Velox. Here we go again... results start to fluctuate as does our league position and who do we all start calling for? - the manager. In my opinion, Gaby has proved he's got the knowhow to put out a team capable of getting three points regardless of the opponent. The real issue for me here is the players. They seem to be up for some games and some not, and effort wise, seem to pick and choose when they fancy it. Goes back to the saying of 'how much can a manager do once the 11 players step out on the pitch', but really it does seem to be the case here. Too many journeymen brought in by HK and his delinquent bodyguard WF, teamed with inexperienced kids who are still learning the trade. Real question is, who is over seeing this? I suppose the answer to all this is Selim - but who is overseeing him? A lot more going on at our club that meets the eye for me.. Gaby is currently the fall guy for some far deeper routed problems, on and off the field. Good managers know how to motivate their players so they go out and play to the best of their ability and are up for the games not just play in cruse mode. Proved he’s got the know how? 7 wins from 22 EFL games tells me otherwise. I have read some tosh on this forum but anyone suggesting Cioffi is doing a decent job is deluded. Sack him and pur Morales in charge he would do a decent job maybe even a great job. and im not hearing any evidence other than you like to stir the pot. Let me guess... he has till the end of January, just in time for the transfer window to close. when lots of last minute activity with all the leftovers takes place.